If your Sony Experia mobile phone charging port needs repaired in East Kilbride, one should positively think about bringing in Ekrepairs.co.uk if you’re going to have your Sony Experia fixed in East Kilbride or the surrounding Glasgow areas. By hiring the services of the right local technician or Sony Experia repair help in East Kilbride, you get to minimize the waiting time and the anxiety that usually happens with getting your Sony Experia serviced. Every single time you send your Sony Experia for fixing purposes with some of the high street vendors you are always told it will take 2-3 weeks and you will get a text once it is available to collect. Most of the time Sony mobile phones have to be sent down south somewhere to be fixed leaving you high and dry for a few weeks. Who wants that? With Ekrepairs.co.uk in East Kilbride behind The Whirlies Roundabout, you’ll be told what’s wrong with your Sony Experia mobile phone right there and then, given a firm price and most problems will be done on the day that you come in. Sony Experia screen repairs or Sony Experia screen replacements are usually done within the hour! So, how do you find the best Sony Experia repair service in East Kilbride? First of all, you have to determine exactly what you want out of the professional you hire. First of all what Sony Experia model is it? We can repair all Sony Experia models including Sony Experia Z3 Compact, Sony Experia E3, Sony Experia M2 Aqua, Sony Experia T3, Sony Experia Z2, Sony Experia M2, Sony Experia T2 Ultra, Sony Experia E1, Sony Experia Z1 Compact, Sony Experia Z1, Sony Experia Z Ultra, Sony Experia M, Sony Experia L, Sony Experia SP, Sony Experia Z and Sony Experia E.
•	Can You tell what’s wrong (precisely) with your Sony Experia at all? EK Repairs have been repairing Sony gadgets for many years and realize that occasionally you are not able to tell us what’s wrong with your Sony Experia . This is why we offer a free diagnostics service and only charge for the actual work that we do. Repairing your Sony Experia can be costly. That’s just something that happens sometimes depending on what’s actually wrong with the in the first place. If you’re going to fix your Sony Experia , you have to be prepared to spend a considerable amount of hard cash. However, there are ways to stop this amount skyrocketing. 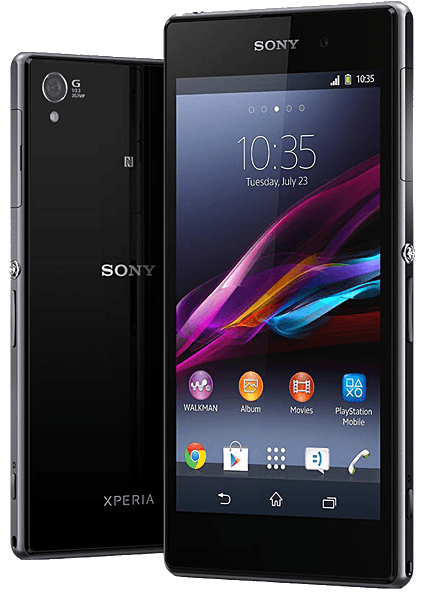 You may also need to do a bit of due diligence on possible hidden charges you may incur and ask the Sony Experia repair company about them too. Of course another way you can cut back on your Experia screen repair costs or expenses is by doing it all yourself. These days we have youtube.com and other video sites online that are full of how to solutions to technical problems. A quick search usually gives you the facts you need and this will help you to fix yourself. Definitely some of the simpler repairs can be done at home. Sony Experia screen replacements can definitely be done DIY. These days we have Groupon and other daily deal websites. DIY kits for products or Sony Experia repair deals are very common on these daily deal sites. If you are not familiar with the concept then let me explain. This is where a repair service provider will offer a discount deal on their Sony Experia repair service. Something in the region of 50% discounts is common. You might for example buy a coupon for a 50% discount on your repair quote. This means that when you visit the Sony Experia repair shop, they quote a certain price and your voucher will entitle you to a half price deal! Sometimes they sell kits used for removing Sony Experia screens and resetting a brand new screen to do your own DIY Sony Experia screen replacement. Gadget repair shops put these deals up in the hope that you will get to know them and their work and maybe sign on at a later date and buy a full selling price repair. They use their marketing and advertising budgets as a loss leader looking to land the big and long contracts later on. You can make full use of these deals as and when they become available. Simply try a quick search for your area and subscribe to deal web sites so you will be notified (usually by email) when the deals are available or on offer. Don’t Settle for Cheap Sony Experia Screen Repair individuals in neighbourhood ask Ekrepairs.co.uk ASAP on 01355 222438 for knowledgeable help to fix your gadget.